So you want to get your game out to the world? Scroll down to learn more. We believe in full transparency with all our partners. We even welcome all our partners to our London office for a quick chat, some tea, or even some free beer. Our games have reached #1 on the App Store with multiple features. We help all our games to strive that level of achievement. When you join us, you aren't just publishing a game with us. You are joining our family. Whenever you need help, we are there. The new superstars of UK Gaming. 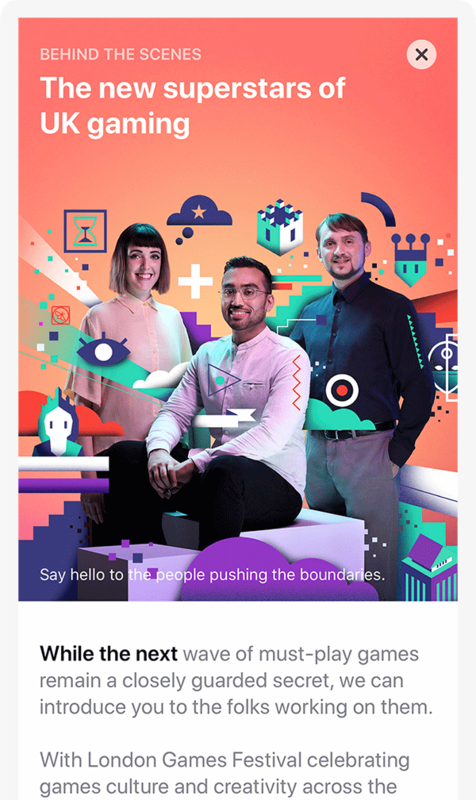 Featured by Apple as the new superstars of UK Gaming! Do you want to be a superstar too? We can be superstars together. Over 1 million paid downloads. 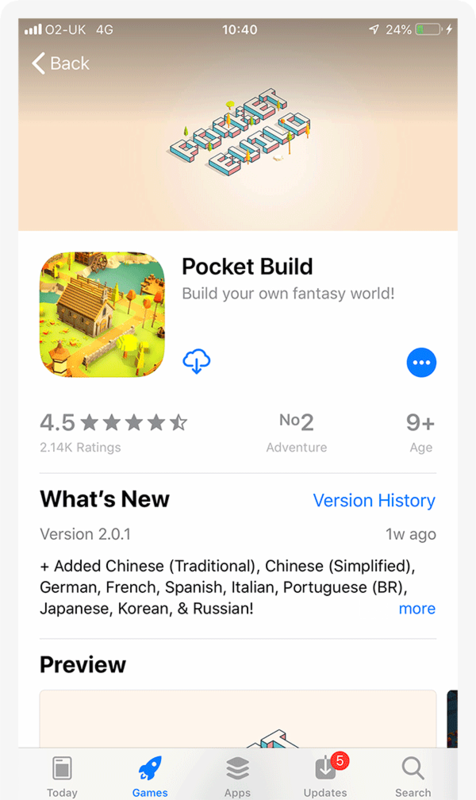 Pocket Build has achieved over 1 million paid downloads on iOS alone in just 1 year. That's a lot of downloads. 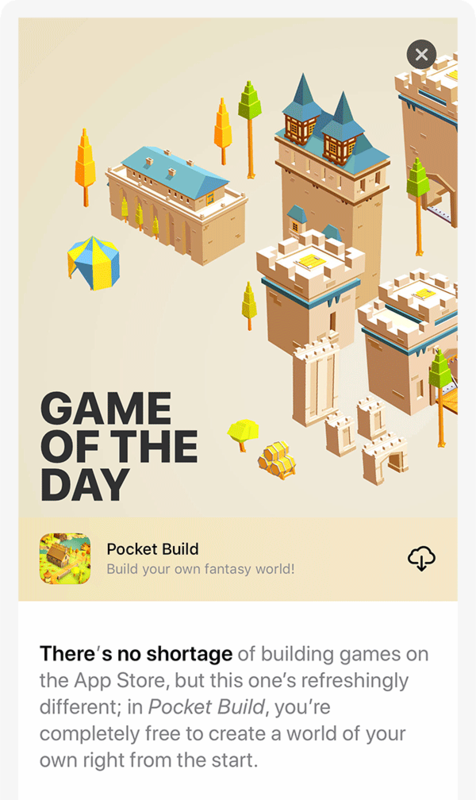 Featured as Game of the day on App Store worldwide! Just fill out the form on the left or hit us up via our email above. It really is that simple. We will then get back to you within 12-24 hours requesting for more information, demos, or videos.